Did you happen to see who made Soliant’s Top 20 Most Beautiful Hospitals in America? Maybe you’re wondering who Soliant is and why it is doing this ranking? Soliant is a healthcare staffing company that collects nominations and votes for its annual contest. I’m not sure who votes, but 250,000 people did. And they picked Golisano Children’s Hospital of Southwest Florida in Fort Myers, Fla. (above) as the most beautiful hospital in America. According to Soliant, beautiful hospitals have been shown to speed healing. “Pretty hospitals that boost healing? Now that’s a beautiful thing,” its website proclaims. Okay, I get what they are trying to do, but only using words like “pretty” and “beautiful” to describe hospitals doesn’t properly recognize the skills of the design professionals who helped create these complex buildings. 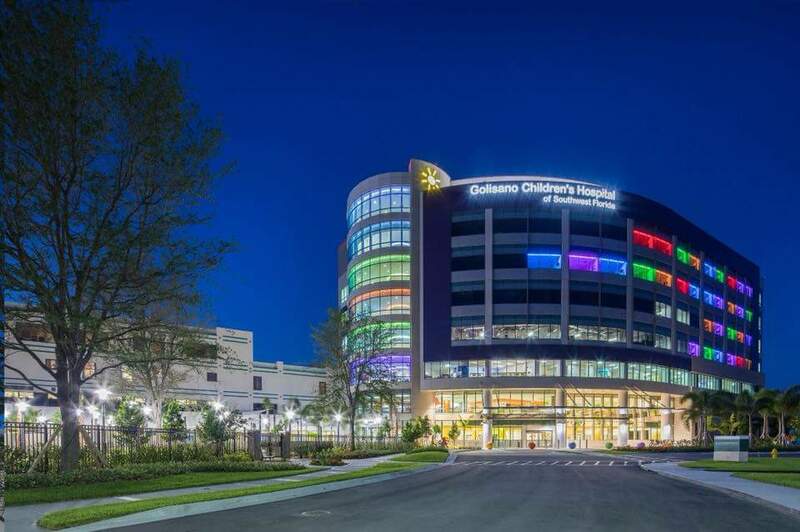 Designed by FKP Inc. and Harvard Jolly, Golisano Children’s Hospital opened in 2017. But you wouldn’t know who was involved in the project unless you googled it because Soliant doesn’t list who designed the hospital on its website. Where Are the Brains Behind the Beauty? [Beauty is a] starting place (literally) for so many people, especially in our visually-centric culture. But the brains behind the beauty must be there, too. Much harder to get recognition for. I was just reading an article in the [New York Times] about how fashion and real estate are being designed more and more for web viewing. This could be a trend in healthcare as well as people “shop” from around the world. Indeed, building design can be a great marketing tool to attract both patients and staff. But I’d like it to be much more than about beauty. Because it is so much more, and not recognizing it as such only fuels a false public perception of design. Show the pretty pictures, but explain how design helps “speed healing” by contributing to increased safety, stress reduction, support for family members and staff, etc. The organizers of the Miss America Beauty Pageant knew this. They didn’t just judge contestants on their looks but also asked them probing questions to find out if the beauty had any brains. My guess is that all of the hospitals on Soliant’s list have brains behind their beauty. And I congratulate their leadership and designers for making the list. But I want more. Don’t you? Sara, so true – how little regard there is for the design professionals, to not be mentioned at all as the authors of the winning project. Endemic in our society! We all need to work toward better recognition of our profession. And agree with all other points made – yes, hospitals need to win with beauty but with so many other things, this is why they are such challenging projects to design successfully. Thank you for a great blog, with your great choice of timely and important topics! Well said Sara (and Naomi) ! Have you shared this directly with Soliant? I have not! Hoping someone else will. Thanks for your comment! I am so glad for this post. While I appreciate that architecture/design is an aesthetic discipline, as a healthcare professional, I have seen many beautifully hospitals that were an operational disaster. Many of these beautiful hospitals have won numerous design awards, while the clinical providers are trying to make the layout work for them – inefficiency, poor wayfinding, patient safety issues, increases needed in staffing or operational costs. Perhaps we need to add some evaluation criteria BEYOND beauty for awards? Most design awards programs do have criteria beyond beauty. But it’s hard to get past that when you’re judging from photos.